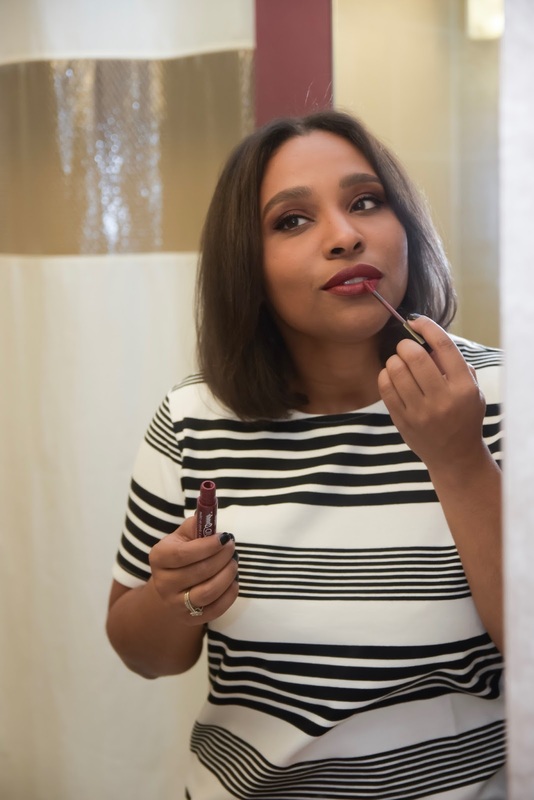 Fall is here and I make tons of changes in my wardrobe: with those changes, I also like to make changes in my makeup looks as well. When the new season comes around, I usually go for dark vampy looks like a smokey eye. I wanted to share with you guys a quick and easy tutorial on how to achieve a smokey eye this season and what products I used to do it! Aside from the normal base makeup products, like foundation and a brow pencil, the most important things for this look I use are two blending brushes, an angled brush, Clear Eyes Pure Relief®Dry Eyes, and my favorite palette with dark vampy colors. As a contact lens user, Clear Eyes Pure Relief® has always been in my makeup bag when I am on the go. It's the #1 selling brand of eye drops and provides up to 12 hours of soothing comfort. Having dry eyes itself is a horrible feeling, so imagine with contact lenses on! 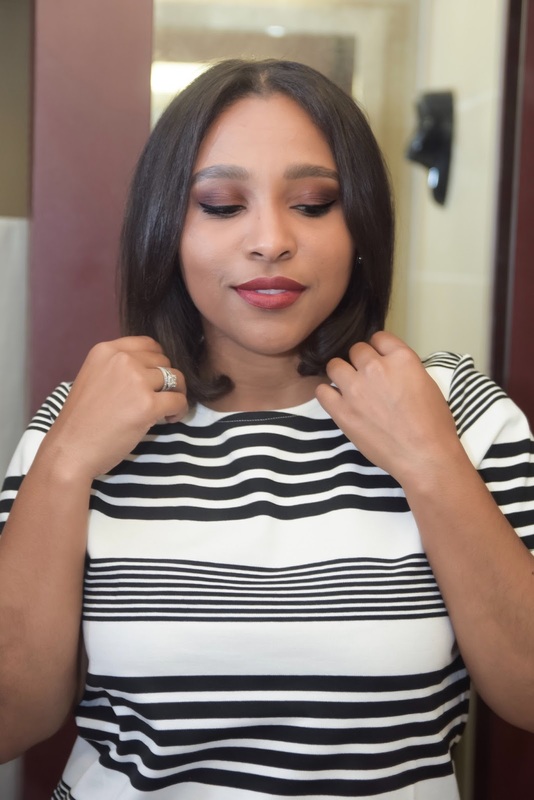 When it comes to heavy smokey eye looks, I love to use Clear Eyes Pure Relief® because those kinds of looks require heavy makeup around the eyes. Most of the time the fall out from the shadow gets into my eyes and can really cause irritation and itchiness. That is the last thing I need, especially with my corrective lenses on. There is also Clear Eyes Pure Relief®Multi-Symptom that I love to keep handy in my bag as well. I purchased both at my local Walmart in the eye care section: starting now until 9/30 you can get $5 off here! - I use any eye shadow primer to begin. This helps your eye shadow stay on longer. - Next, I take a dark brown shade with a fluffy brush to use as my base and just swipe it all over my lids until I have a base on my eyes. - The darkest plum color in my favorite palette I use with a blending brush in the outer corner of my eyes. I blend blend blend until my hands are tired. The key to a nice smokey eye is blending! I also take my angled brush to create the same effect underneath my eyes. - I use a few drops of Clear Eyes Pure Relief® to remove any excess shadow that may have fallen into my eyes. - Once I'm done blending I use a liquid liner for a wing line and, last but not certainly not least, some mascara to bring the look together. Clear Eyes® believes that every time you open your eyes it's your moment to shine. They want you to share your shining moment for a chance to win a grand prize trip to Miami! Enter the sweepstakes and follow these guidelines. Hope you guys enjoyed this post and good luck!! Loving your makeup routine babe! Such a great eye tutorial. I also love to care my eye and lip most. I believe makeup is an important part of women's life and eye care & lip care with Liquid Matte Lipstick is the main pert of it.